Simplify hiring by tweaking these pre-written marketing jobs. Marketing encompasses more tasks than ever before. The rapid evolution of digital media often means that it's necessary to hire team members with specialized skills to keep up with your competition -- but it's hard to know what skills you should look for in a new hire. 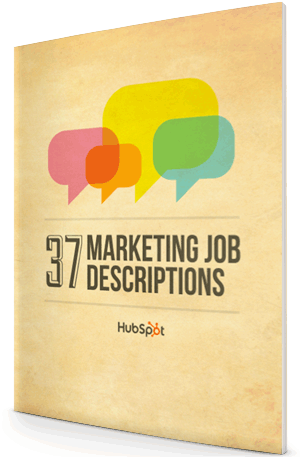 That's why we've put together 37 ready-to-use job descriptions for the most popular marketing roles. You can use these job descriptions as a template when growing your team.